The self-proclaimed king of 1980s music in Japan is DJ 19. He has a keen ear for that particular decade in music and it helps explain why he’s released many 1980s cover tunes under the DJ 19, Ambrozia, Valid Evidence and Hot Station guises over the years. 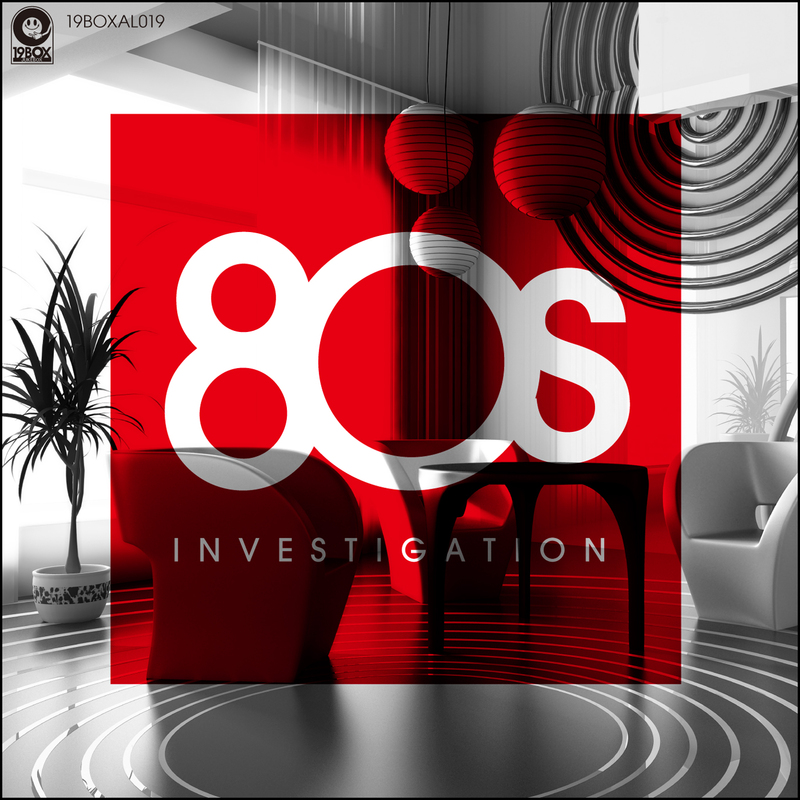 As a result of his love for all things breakdancing, new wave, parachute pants, big hair, electro, synth pop and other 1980s-based culture, he has decided to release a compilation that focuses on 80s cover tunes that’s aptly titled “80s Investigation”. The album’s chillout grooves include mostly projects he has been involved with. There are only 2 songs in which he wasn’t involved. Most of the tracks have already seen a release, but there’s also 3 new exclusive tunes here. The first one has been done by Valid Evidence aka DJ 19 & Yu-Ta. They have covered the revered ‘Love Theme’ from the movie “Blade Runner”. It just so happens that this move is DJ 19’s favourite movie of all time, with an amazing musical score by the legend that is Vangelis. The second track is by Ambrozia - aka DJ 19 & Edison. They have covered Frankie Goes To Hollywood ‘The Power Of Love’. The Original Mix was released on Ambrozia’s “Bells Of Christmas” release in 2013. It features the male vocalist Shango Trex. The third new track is a cover by Hideout of a huge instrumental hit in 1980s - Kenny G’s ‘Songbird’. “80s Investigation” is the ultimate soundtrack to any discerning clubber’s winter holiday. The 1980’s-influenced jazzfunk sounds of ‘This Way Like I Like It’ from Genuine Fakes is next up on 19BOX RECORDINGS. ‘The Way I Like It’ has been taken from his second album entitled “Fake One” and we have provided an extended mix for the single release. On the remix front, we have one of the hottest emerging producers from Russia, err, Yuriy From Russia. His mix delivers a progressive vibe sound laden with deep house elements. 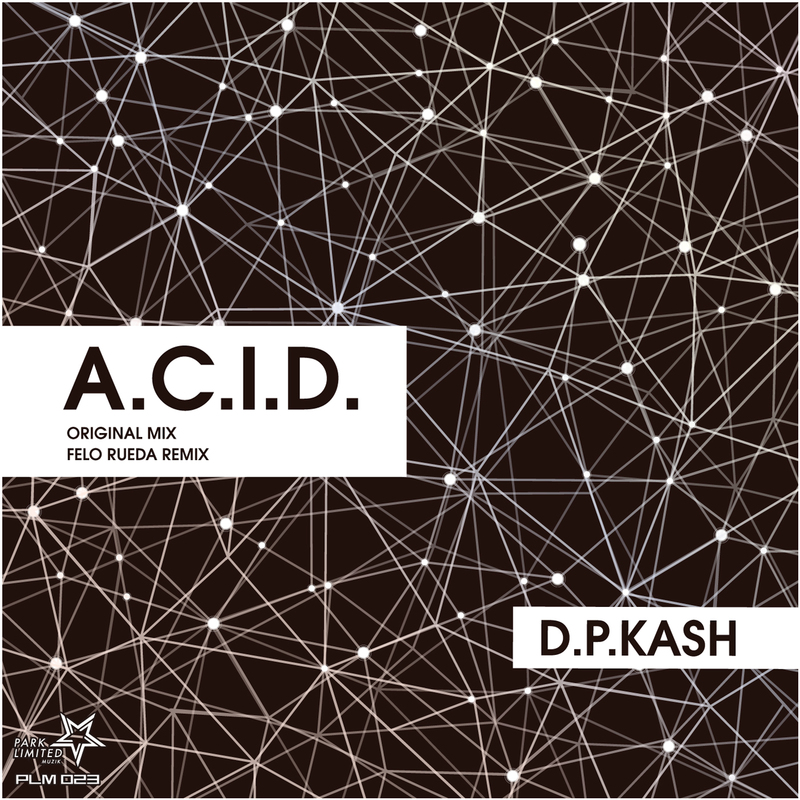 D.P.Kash who hails from Krasnodar, Russia, makes an absolutely massive debut on PARK LIMITED MUZIK with his track ‘A.C.I.D.’. 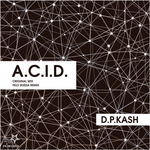 He has already appeared on the PARK imprint as a remixer of DEDA’s track ‘Privacy’. This however, is his first original production on the label and it comes with remixes from Felo Rueda. Felo Rueda is a producer and DJ from Colombia. After 2013, he has released tracks on labels URANOBEAT RECORDS, GENERAL SURGERY RECORDS, 911 RECORDINGS, WHITE MUSIC RECORDS and many others. He has added an even more techy flavour on the original. PARK LIMITED MUZIK is always open to new producers and we are constantly seeking out new talent from the world over! 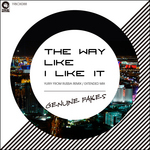 The 1980’s-influenced jazzfunk sounds of ‘This Way Like I Like It’ from Genuine Fakes is next up on 19BOX RECORDINGS. 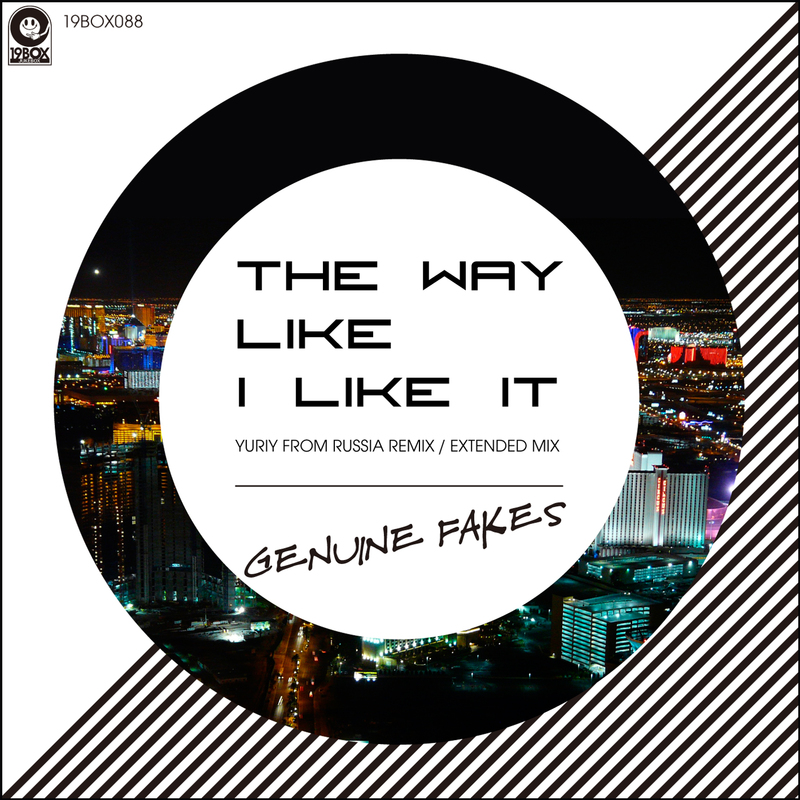 ‘The Way I Like It’ has been taken from his second album entitled “Fake One” and we have provided an extended mix for the single release. On the remix front, we have one of the hottest emerging producers from Russia, err, Yuriy From Russia. He’s been busy releasing tracks and remixes on labels such as BAROQUE, CLINUQUE RECORDINGS, PLUSQUAM, READY MIX RECORDS, METHOD, SICK WATONA, PROTON and BONZAI PROGRESSIVE just to name a few. His mix delivers a progressive vibe sound laden with deep house elements. 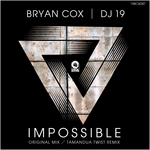 Ladies and gentlemen, we are happy to present to you the debut of tech house star Bryan Cox on 19BOX RECORDINGS. Not to be outdone, label head honcho DJ 19 has collaborated with Bryan to produce this gem. Bryan describes his sound as ‘Techfunk’, while DJ 19 describes his sound as ‘Phuturefunk’. Since both have a foundation in ‘Funk’ as a principle, their like-mindedness allowed them to come together and produce the tech house-infused ‘Impossible’. In another round of ‘firsts’, Tamandua Twist has produced his first remix for 19BOX. Ladies and gentlemen, we are happy to present to you the debut of tech house star Bryan Cox on 19BOX RECORDINGS. Bryan’s releases have graced some of the world’s most respected labels including SPINNIN’, TOOLROOM, 100% PURE, DEFECTED, HOTFINGERS, MINISTRY OF SOUND, SUBLIMINAL and many more. Not to be outdone, label head honcho DJ 19 has collaborated with Bryan to produce this gem. Bryan describes his sound as ‘Techfunk’, while DJ 19 describes his sound as ‘Phuturefunk’. Since both have a foundation in ‘Funk’ as a principle, their like-mindedness allowed them to come together and produce the tech house-infused ‘Impossible’. In another round of ‘firsts’, Tamandua Twist has produced his first remix for 19BOX. Tamandua Twist is the Israeli based producer Vitaly Futoriansky. He has released tracks for READY MIX RECORDS, ORIGINAL FAKE, MAZDUKE and so forth. His rework has added his signature deep atmosphere vibes to the elements of the original.